What's the most important rule for approaching an intersection? What's the most important rule for approaching an intersection? What's the most important rule for approaching an intersection? You might need to stop if there are emergency vehicles coming through the intersection, if the lights change to red just before you get there, if there are pedestrians on the road, or if you see another vehicle coming which you need to give way to. Intersections can be very basic, e.g. 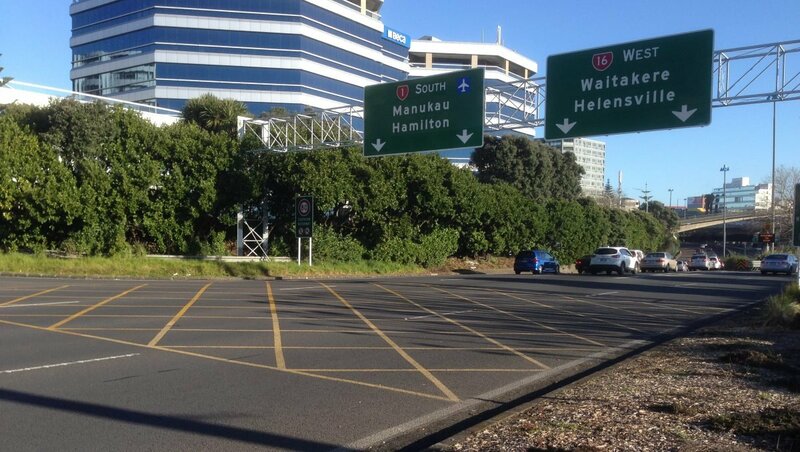 a t-intersection on a quite country road with good visibility, or they can be very complex, e.g two lanes are turning, and there are yellow hatches on the road that you are not allowed to stop on, such as the motorway intersection in Auckland, below. Are there green lights which have been green for a while which might turn red just before you get there? What is the other traffic doing? Is there a long queue in one lane and not in the other, and can you change to that lane to make progress (assuming it's not dangerous to change lanes at that time)? What sort of vehicles are in each lane? Usually a large truck will move away more slowly than cars; will you get stuck behind the truck and not be able to get to the intersection before the lights turn red again? Can you hear sirens - could an emergency vehicle be approaching the intersection? Are there pedestrians waiting to cross on the left, particularly if you are in the left lane and will be turning left, or you are going straight through but you are following a vehicle that will be turning left? Are there filter lights which might let some vehicles go first? Is there a queue across the intersection? Are there cyclists waiting at the front of the queue? What kind of sign do you have at the intersection, e.g. stop sign, give way sign, no sign, traffic lights. Are there any other signs, e.g. no right turn, or do you have to turn in one of the lanes. What road position will you take at the intersection? E.g. if you're turning right, are you positioned far enough over to the right to left left-turning traffic past, but not so far over that you risk being hit by a long vehicle turning across in front of you?